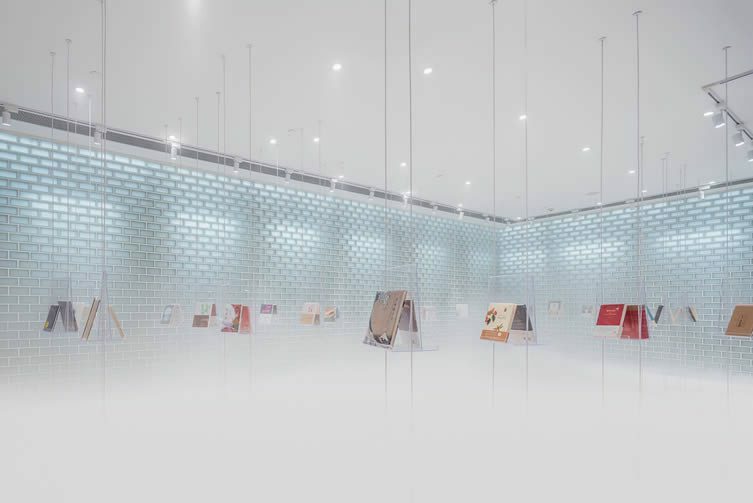 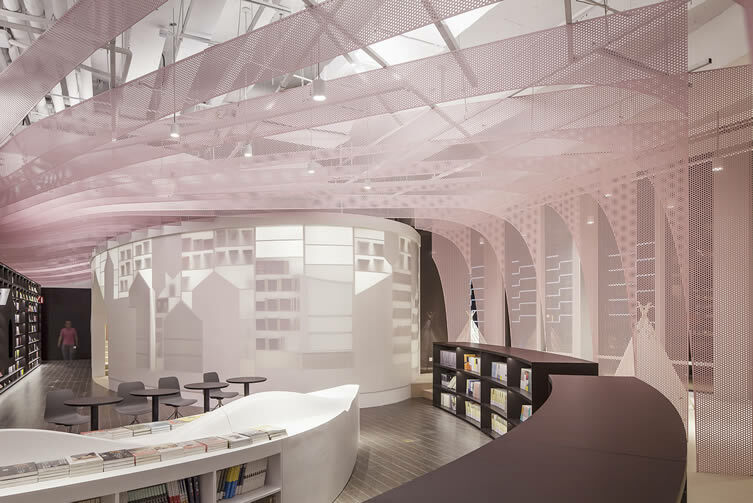 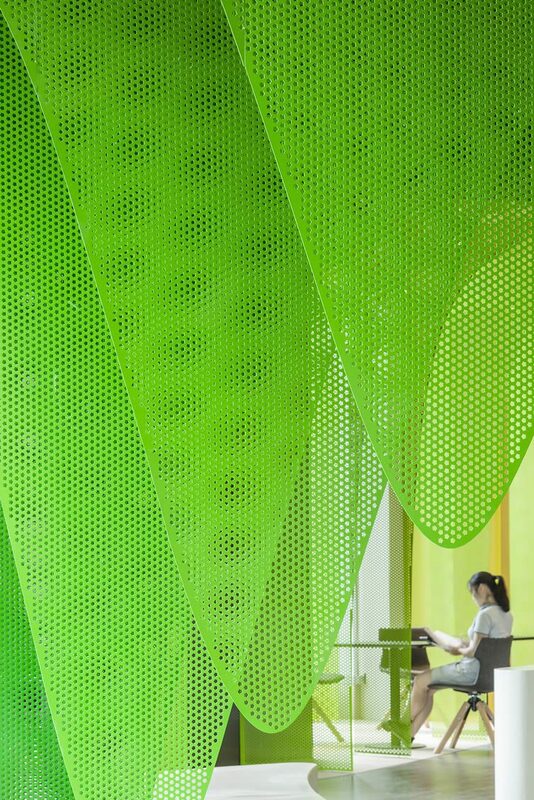 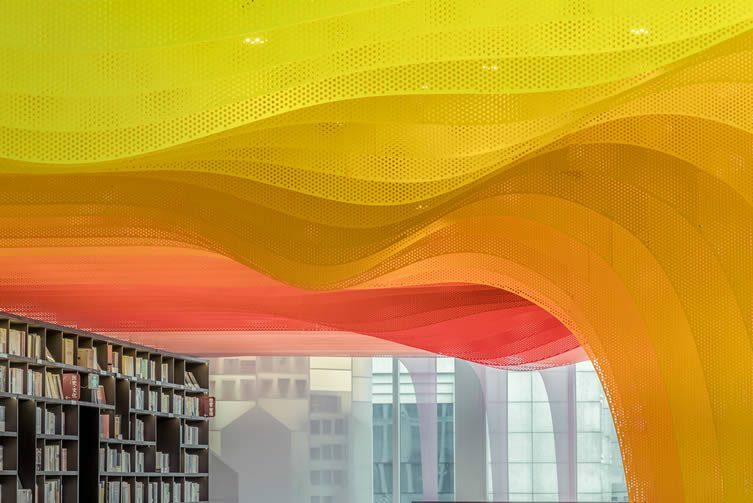 A design studio with a name that sounds like a chill-out album produced by RZA, Wutopia Lab, has completed works on Zhongshu Bookstore in Chinese city Suzhou, dividing the space into four main zones and several subdivided areas. 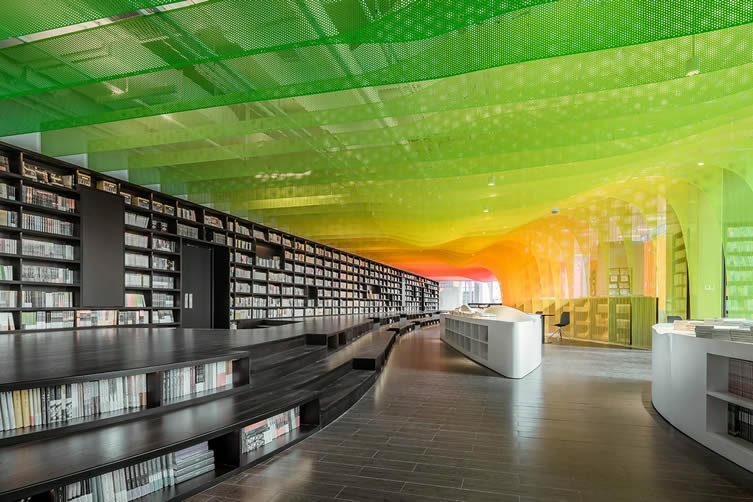 The brand’s eighth store in five years, the ‘metal rainbow’ bookstore transports visitors into a world of flamboyant psychedelia. 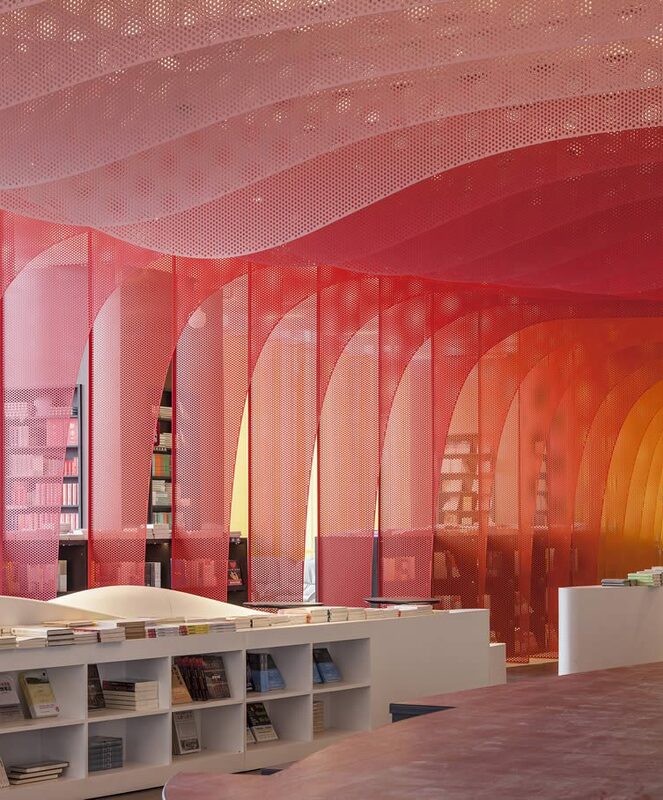 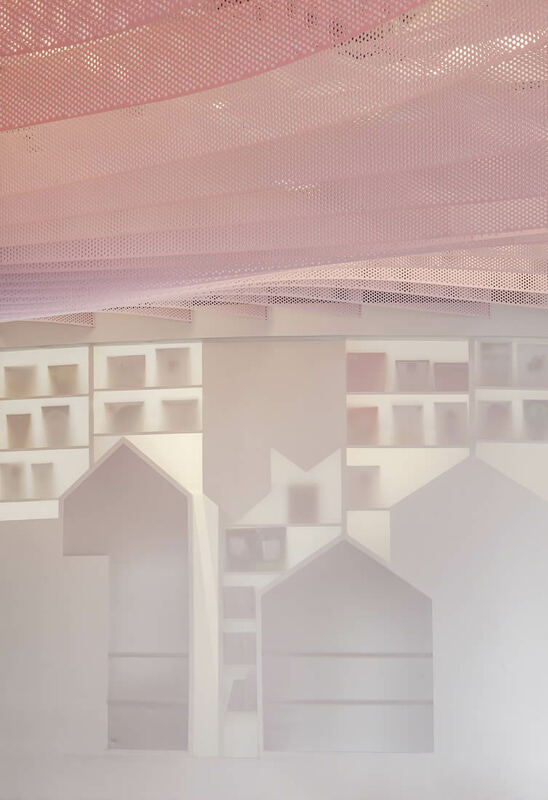 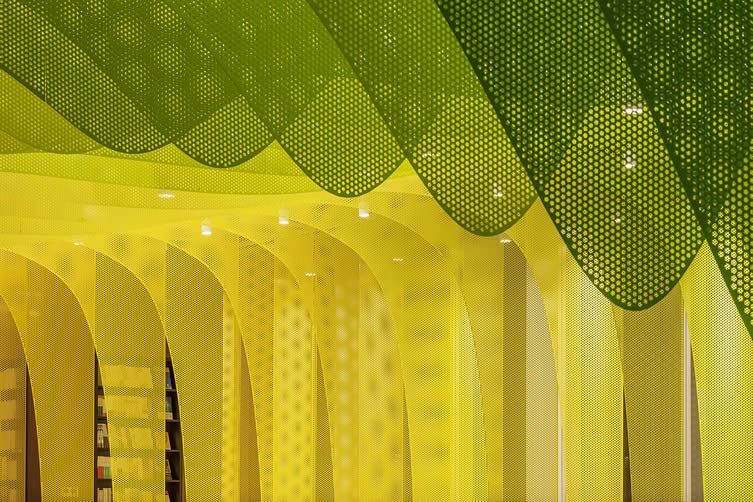 Overseen by Wutopia Lab’s YU Tin — who set out to make the bookstore a welcoming space to while away time — colour and the ability to interact were key elements in the design process; the latter especially apparent in The Castle of Innocence, an immersive, playful corner of the store that was designed to house books for little people. 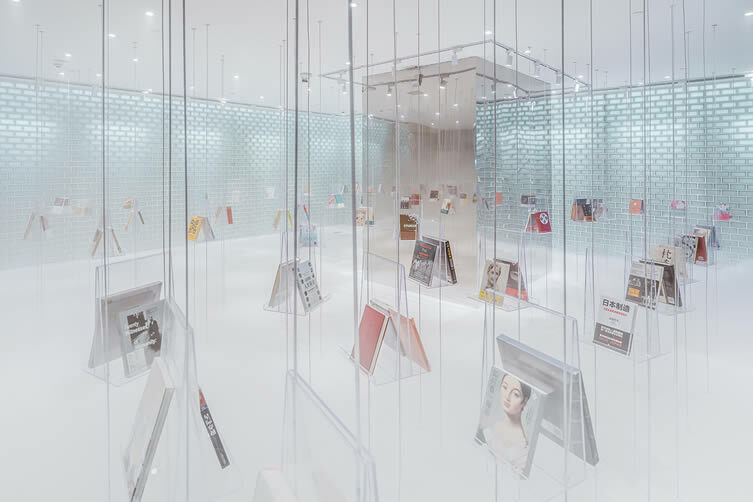 Entering through The Sanctuary of Crystal, a space reserved for showcasing featured books, sees latest arrivals and staff picks arranged on pre-fabricated transparent acrylic shelves — whilst the use of glass bricks, mirrors and acrylic make for the shop’s bright and shiny core. 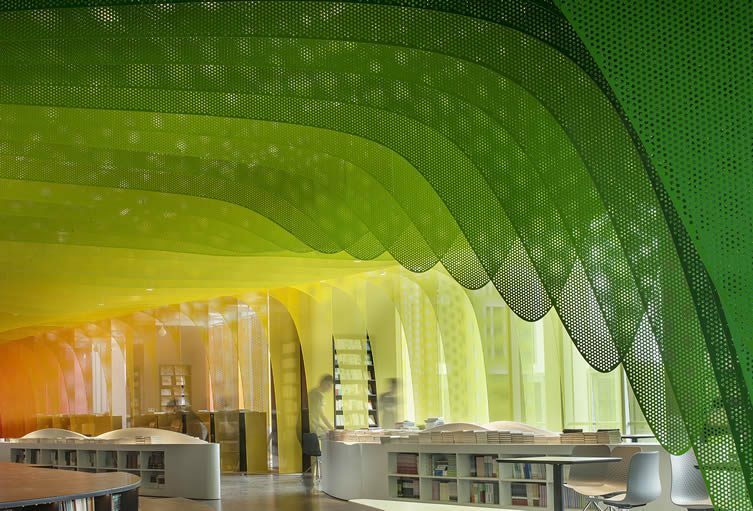 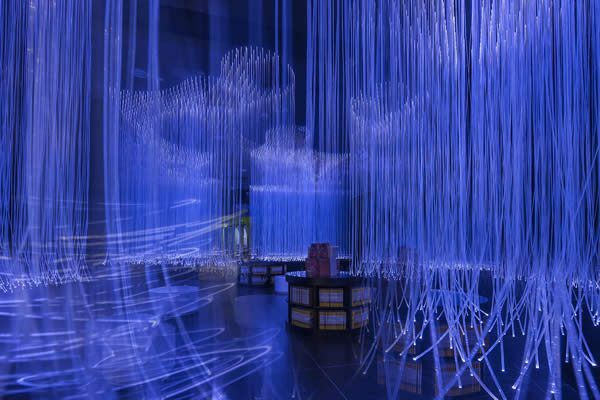 In stark contrast, The Cave of Fireflies is a darker tunnel that connects the main hall and entrance, and leads customers through a weave of fibre optics on their way into the main reading areas; the most prominent being the vast and dazzlingly brilliant Xanadu of Rainbows. 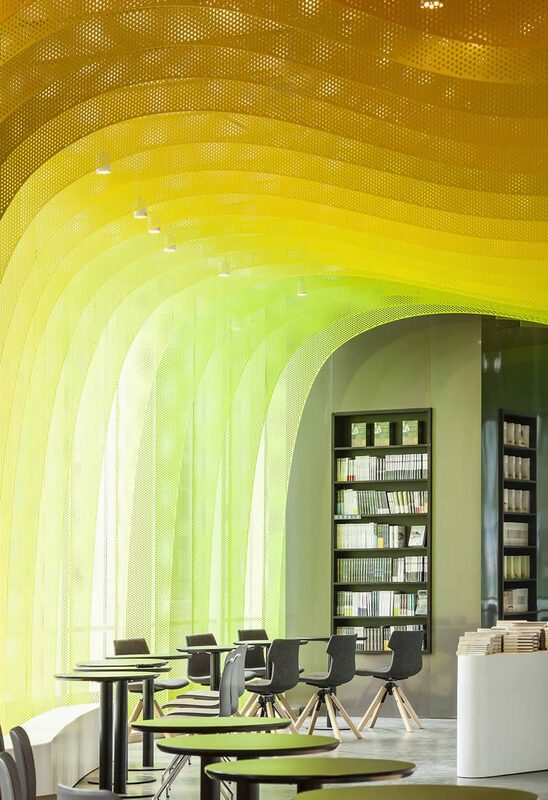 Known for their show-stopping interiors, Zhongshu’s latest is perhaps its finest yet, and its core area makes the most of the natural light that floods in from large windows — those undulating sheets of perforated aluminium casting candy hued gradients; fluctuating heights of shelves, steps and tables add to a wavy continuity, bewitching and beguiling its raptured visitors. 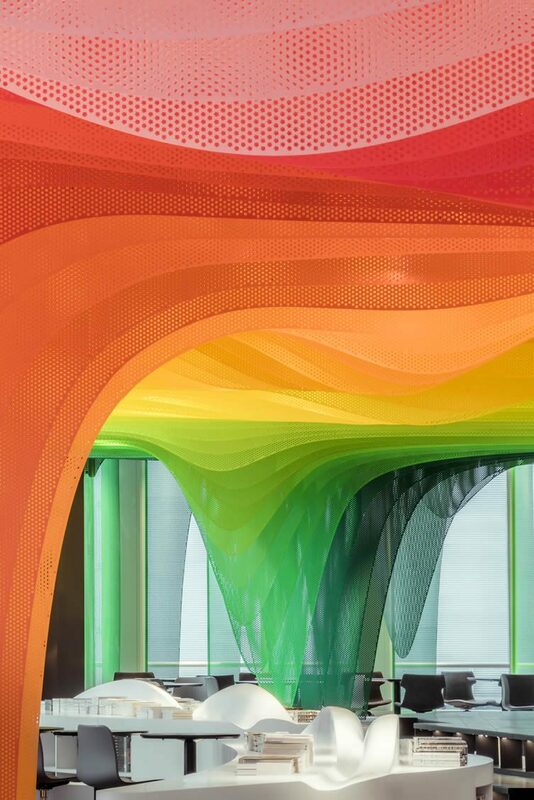 Stellar stuff.